Why would I need self storage in Lakewood Ranch, FL? There are a variety of reasons why you might need self-storage in Lakewood Ranch, FL. How much is a storage unit in Lakewood Ranch, FL? The cheapest storage unit in Lakewood Ranch, FL is $44.00 per month. What size storage units do you have available in Lakewood Ranch, FL? In Lakewood Ranch, FL we have sizes that range from 5'x10' to 10'x30' to suit your storage needs. How much is it for a 5'x10' storage unit in Lakewood Ranch, FL? The cheapest 5'x10' storage unit in Lakewood Ranch, FL is $44.00 per month. Lakewood Ranch is a large, master-planned community stretching across Manatee and Sarasota counties. At over 17,000 acres, the community is made up of many different villages and neighborhoods, including a variety of amenities at the town centers distributed throughout the area. Beaches, dining, entertainment and shopping are within just a few minutes of most homes in Lakewood Ranch, making it a desirable place to call home. 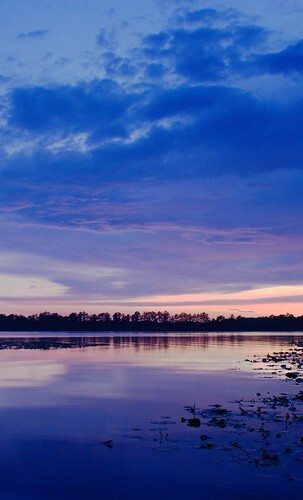 Lakewood Ranch is known for its friendly sense of community, beautiful scenery and numerous amenities. The community includes business parks, boutiques, golf courses, 150 miles of trails and sidewalks and more. Golf courses, polo fields and 22 acres of mixed-use sports facilities provide plenty of recreational opportunities for both children and adults. One of the big draws of Lakewood Ranch is that the community has a commitment to staying green. It's one of the largest green-certified areas in the country, and every home in the community meets or exceeds the Florida Green Building Coalition's Green Home Standard. Much of the land the community is on is reserved for local wildlife and vegetation. One thing that sets Lakewood Ranch apart from other master-planned communities is that it's not only a place to live and play but also somewhere you can work. Its business developments have attracted a variety of companies, including education, insurance, finance and biotechnology. In addition, it's home to extensive commercial and retail developments that provide a significant number of local jobs. There is also a large corporate park in the Sarasota section of Lakewood Ranch that provides a live-work lifestyle that's reminiscent of urban areas. Other potential job sources include the community's Commerce Park and Business Park, two developments that host a variety of businesses. If you're looking for a job in Lakewood Ranch, you have plenty of options for something close to home. The schools in Lakewood Ranch are part of the Manatee County Public Schools District. In addition to its traditional campuses and an online distance learning program, the district includes several charter schools at all levels. Utilities: The nearby city of Bradenton and Florida Power & Light (FPL) supply the utilities for Lakewood Ranch. Garbage and Recycling: Trash and recyclables are collected on a regular basis throughout Lakewood Ranch. Your pick-up days will depend on your home's location within the community. Whether you're looking for an apartment, townhome or stand-alone home, there are many options to choose from. Because the community began construction in 1995, most of the homes are fairly new compared to neighboring cities. Homes in Lakewood Ranch can be found at a variety of price points, so you can choose something that fits both your needs and budget. Our lowest priced units in Lakewood Ranch, FL average $44.00 per month. 48 people have reserved units in Lakewood Ranch, FL in the past 30 days. There is 1 location within Lakewood Ranch, FL's city limits. There is 1 location in Lakewood Ranch, FL that offers AC and Heating features.